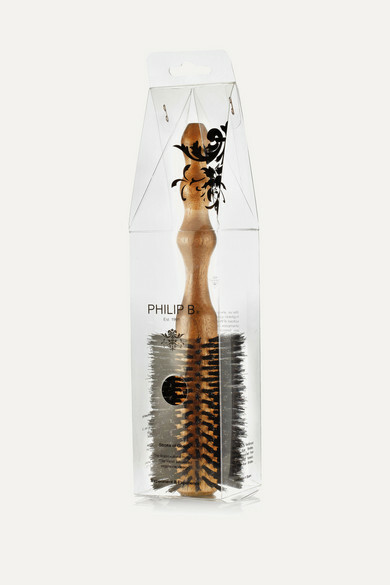 Give yourself a salon-standard blowout with Philip B's round barrel brush. 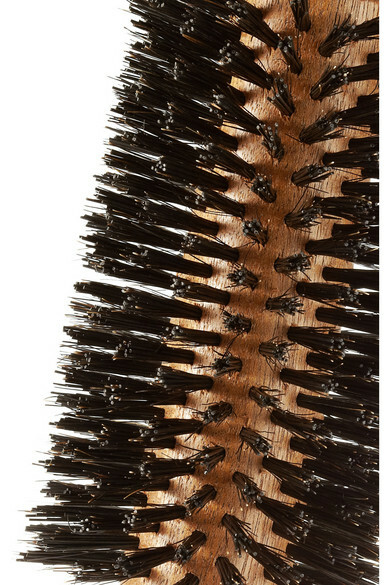 Densely packed with first-cut boar bristles to minimize drying time, this ergonomically designed tool glides through locks without snags or tangles – it's every beauty insiders' go-to for beautiful hair that shines with health. - Ergonomic mahogany handle is designed to rest comfortably in the hand - Large barrel shape is ideal for blowouts"